The first $500-million tranche of Iran's assets locked in Western banks has been unfrozen, Iranian Deputy Foreign Ministry Abbas Araqchi told reporters on Sunday. "The first tranche worth $500 million has been transferred to a Swiss bank. Everything has been done in accordance with the existing agreement," he said. 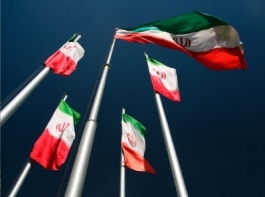 Iran clinched the interim deal in November with the P5+1 group - Britain, China, France, Russia, the United States and Germany - and began its implemention on January 20. Under the agreement, which is to last six months, Iran committed to limit its uranium enrichment to five percent, halting production of 20 percent-enriched uranium. In return, the European Union and the United States have eased crippling economic sanctions on Iran. A senior US administration official said last month that the first $550-million (400-million-euro) instalment of $4.2 billion in frozen assets would be released from February. "The instalment schedule starts on February 1 and the payments are evenly distributed" across 180 days, the US official said. Iran and the P5+1 will also hold a new round of talks in Vienna on February 18 in a bid to discuss a comprehensive solution to Tehran's contested nuclear programme. Major world powers and Israel fear that Iran is trying to develop an atomic bomb but Tehran insists its nuclear programme is peaceful. Also on Saturday, the official IRNA news agency quoted the head of the civil aviation authority, Alireza Jahanguirian, as saying that Iran will soon receive spare parts for its ailing civilian fleet. Jahanguirian said the parts would arrive within two weeks as part of the sanctions relief agreed in Geneva in November. The November deal however foresees an easing on sanctions imposed on several sectors, including Iran's car industry and petrochemical exports, as well as allowing civil aviation access to long-denied spares. On November 24, 2013, Tehran and six world powers (the five permanent members of the UN Security Council and Germany) signed an agreement gradually returning $4.2 billion of frozen Iranian assets held in Western banks. It came into force on January 20, 2014. Iran pledged in return to halt a higher than 5 percent uranium enrichment. The six world powers agreed to partially lift the UN, EU and US sanctions and not to impose fresh restrictions against Iran.